Posted February 8th, 2017 by Karns & filed under . “Thank you so much for all the work everyone contributed to bringing my case to a successful conclusion. I am truly grateful to everyone.” Stephanie C.
Posted August 12th, 2015 by Karns & filed under . “After a horrible incident and life-changing event, Mike and Bill brought hope back into my life.” -Mona L.
Posted January 2nd, 2015 by Karns & filed under . “My experience with Karns & Karns is that they truly care. As a disabled veteran, I can’t ask for any better than two top gun lawyers whose main job is to get the best for me and my well-being.” -Reginald R.
Posted October 2nd, 2014 by Karns & filed under . 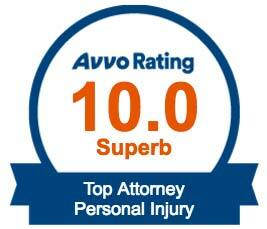 “Most knowledgeable and helpful personal injury firm in town. The best.” -James T.
“Very friendly, professional, knowledgeable and always kept me up-to-date on what was going on with my case. Thank you Karns & Karns!” -Jean B. “I can personally attest to the fact that Karns & Karns are perhaps the most responsive attorneys in California. To receive the sort of attention that I got from Mike and Bill is noteworthy.” -Nelson A. Posted September 13th, 2014 by Karns & filed under .